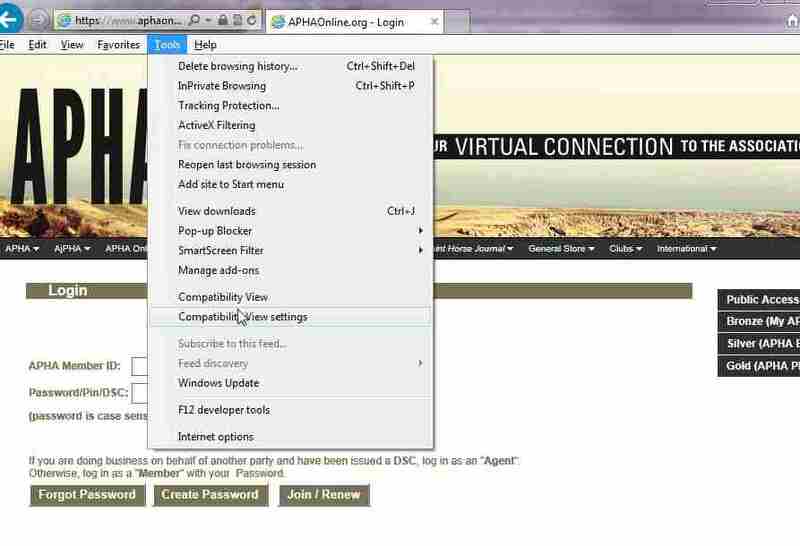 These instructions will add the website to be displayed in Compatibility View. 2. 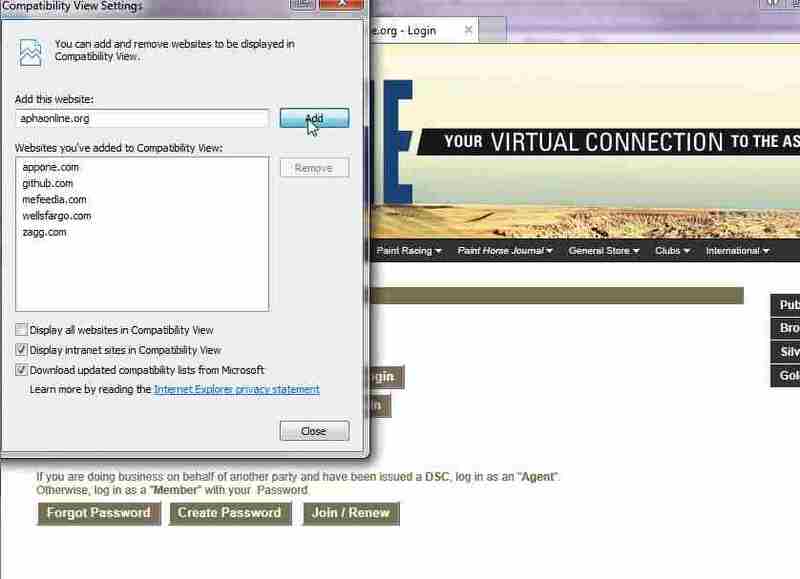 Click on Tools and then on Compatibility View Settings (see fig 1). 3. Click the add button and then the close button. (see fig 2). 4. Now the website will be viewed using the Compatibility view.